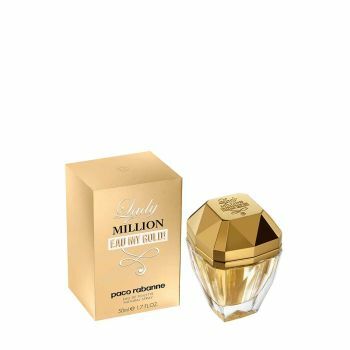 Lady Million Eau My Gold! is a fresh expression of a luxurious delirium & an over-the-top celebration. The introduction is a fruity explosion of mango & grapefruit, enhanced with Neroli essence & embraced with a woody base of cedarwood notes provoking a state of joyful loss on inhibition.